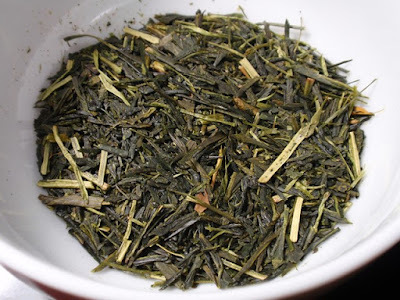 Product Description: It is said that the founder of the Tokugawa clan of shoguns, Tokugawa Ieyasu, was very fond of taking shincha harvested in May, placing it in a container and aging it. This aged tea is now called kuradashi (literally “removing from the warehouse”), and generally refers to tea that has been aged for at least one year. 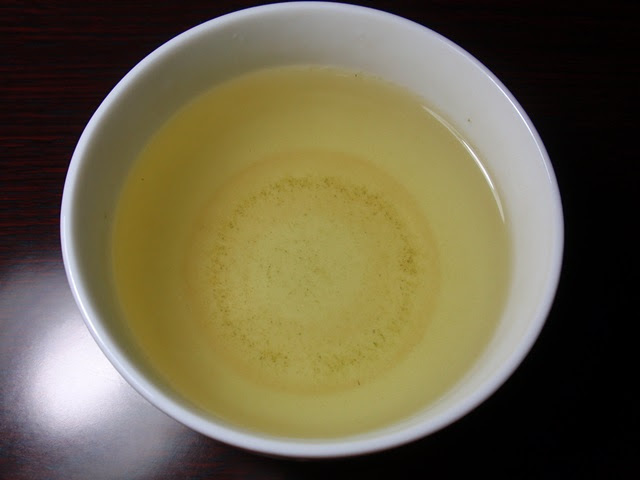 In Japanese, this tea is called Fuka-midori or “Deep Green”. 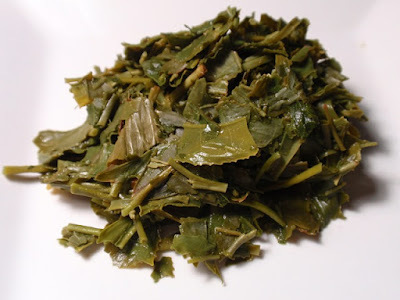 The dry leaf aroma is marine and grassy green, savory, with notes of macadamia nuts. The infusion is light green with a fresh green, savory, and nutty aroma and an astringent green taste. While this tea has been stored, it has a fresh greenness to it that brings to mind its springtime origin. By the third steeping, the taste and aroma became sweeter and the astringency had mellowed slightly with the promise of at least a few more flavorful steepings.